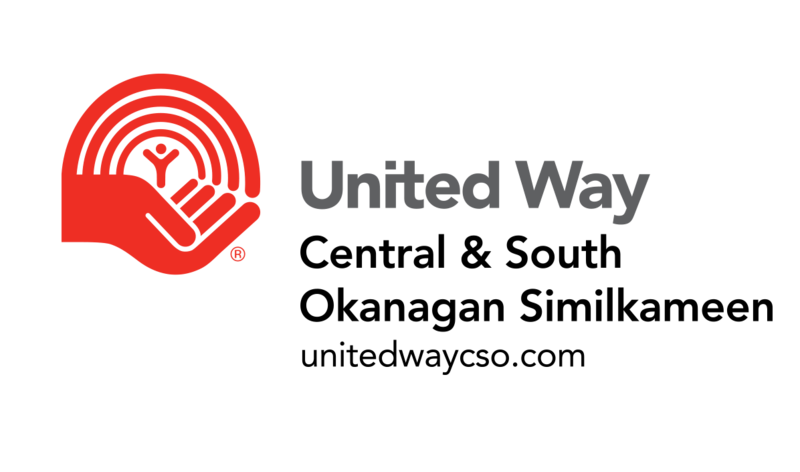 In the fall of 2016, the United Way Central and South Okanagan spearheaded an initiative to better understand the extend of homelessness in Penticton, British Columbia. Over a one week period, volunteers attempted to speak with as many people experiencing homelessness as possible, and register them for supportive housing. This project is part of a national campaign led by the Canadian Alliance to End Homelessness to house 20,000 of Canada’s most vulnerable people experiencing homelessness by July 2018. 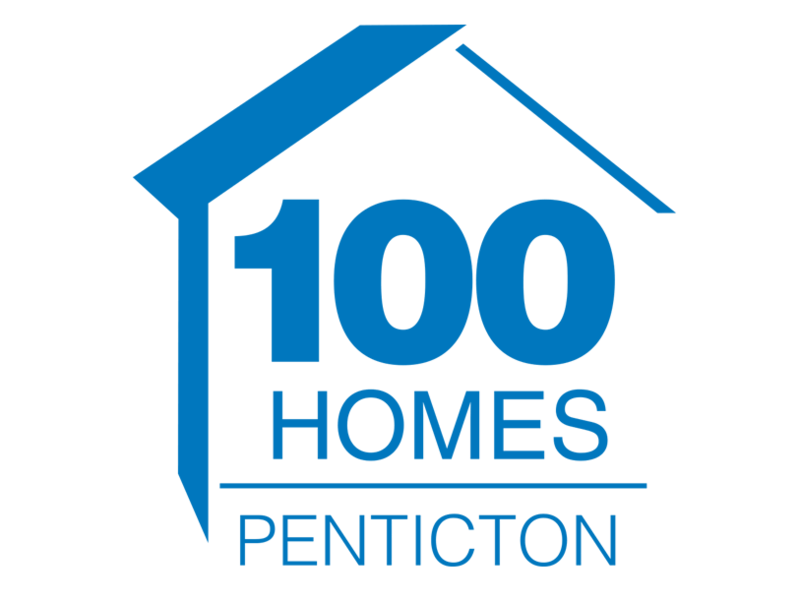 100 Homes Penticton aims to provide support and housing to 100 people in this time. The United Way CSO wanted to show the results in a compact and easy-to-understand method. We created a one page infographic that could be printed out on letter-sized paper, as well as a visual identity for the project. 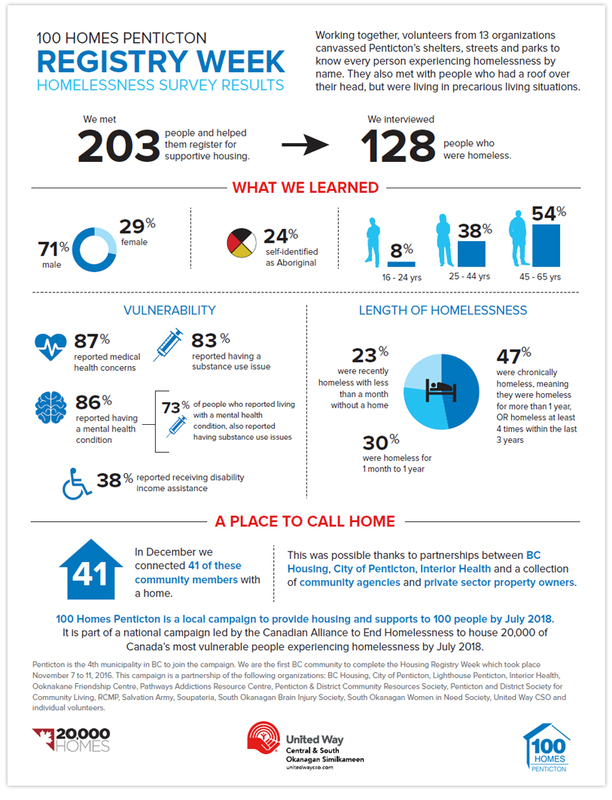 Linsey, many thanks for the wonderful design work on our 100 Homes Penticton logo and infographic. You did a terrific job of taking our ideas and expressing them visually. We have already received so many compliments on their quality and sharp look. 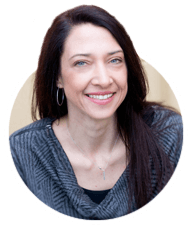 The team also appreciated your quick and responsive communication throughout the process. Thanks for enhancing our key messages in community and we look forward to future collaborations.